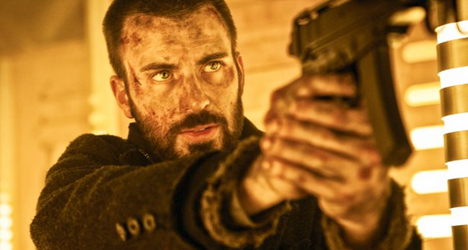 Curtis (Chris Evans) leads a revolt on a train in "Snowpiercer." When the news came out that The Weinstein Company wanted to cut Korean director Bong Joon-ho’s English language debut, “Snowpiercer,” to make it more palatable to American audiences, many people (including those who hadn’t even seen the film) found it frustrating to see a director’s vision stifled. 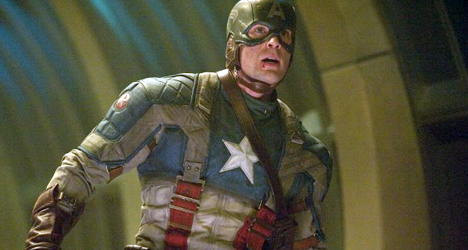 Even though the full runtime was only two hours without credits, the Weinstein’s allegedly wanted to cut character scenes and add voiceovers to make the film a more straightforward action and sci-fi movie. In the end, the Weinstein’s relented and Joon-ho’s vision remained intact as the full cut of “Snowpiercer” reaches American soil. Seventeen years after the chemical CW-7 froze the planet in an effort to combat global warming, a train called the Rattling Ark continues to carry the only surviving humans on a non-stop route. The train is segregated with the rich and powerful at the front of the train and the poor in the back. After being fed up with years of subpar treatment, the passengers in the rear of the train, led by Curtis (Chris Evans), plan a revolt. Moving through the train car by car, the determined group will stop at nothing until they claim the very front car. As “Snowpiercer” progresses and the people from the back of the train begin to trudge forward, the film is almost reminiscent of a video game, where new challenges or surroundings are behind every door. It’s a good way to construct the film and Joon-ho is able to mine a lot of tension from the mystery awaiting the rebellious group. Though few of the characters are particularly memorable, actors like Evans and the Korean veteran Song Kang-ho provide strong performances when given the opportunity. 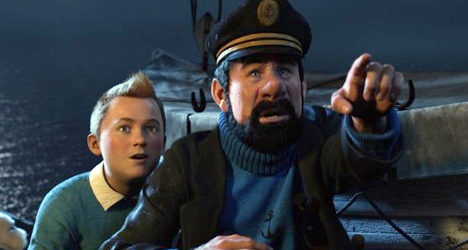 Evans in particular is able to convey a breadth of non-verbal emotion while flawlessly delivering a mortifying story towards the end of the film. 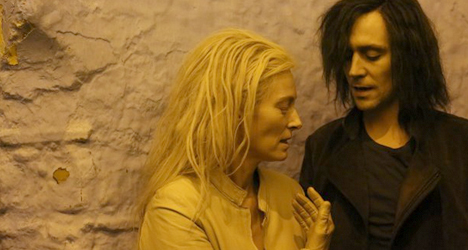 The one character that really stands out is Tilda Swinton’s Minister Mason. It is a character and performance that is incredibly odd, yet so detailed and well defined as Swinton goes all in on the weirdness. Frankly, this character could have been a complete disaster in the hands of a lesser actress. From a technical standpoint, “Snowpiercer” thrives with fantastic sound and incredible production design for the interiors of the train. Where Joon-ho truly excels is in his treatment of the action sequences in the film. Carefully planned out and orchestrated, there is a certain quiet creativity to these scenes. Where other directors might tend to go big and kinetic, Joon-ho uses techniques like slow motion, isolated sound effects and in one fantastic scene, night-vision to carry out his action. The film isn’t exactly shy about its themes surrounding socioeconomic status and class warfare and occasionally hammers the point home a little too hard with cliché highfalutin surroundings and people. There are also a few instances of the film getting a little too bizarre, including one scene taking place in a classroom that is particularly over the top. Despite all of this, “Snowpiercer” is brainier than your average action film, and deserves credit for going beyond the basics of the genre to provide a film with substance. With great action, performances, and tension, “Snowpiercer” is sure to stand out in the summer crowd.